Japanese style "Michaela Hair Salon"
" No. 1 hair salon in Singapore "
We seriously aim to highly reputation from customer's satisfaction by maximizing the technique and customer service that we offer. We believe that not only vague "customer satisfaction" but also we must prove by recognition and awareness in Singapore, sales as well. We believe that" No. 1 hair salon in Singapore" , means must be No. 1 in sales and name recognition. Of course, the company treats are also the same. In Singapore, the No. 1 salon has the best treats on salary , and the goal is to make a salon where every stylists and assistants who wants to join us. It is "a salon that has a dream, acts towards a dream and where can catch a dream"
We all 10 members, including assistants receptionists, we are working hard to become a salon that makes all our staffs happy as well as all our customers. I have lived in Singapore for a year and a half, but I am still surprised every day, not only in terms of language but also cultural differences. I have been studying English for about a month before move to Singapore, but I can not talk with native english speaker. After I moved here, after a period of about one year, there is no big difference between talking in Japanese and talking in English at work, and became able to work smoothly. I think that there is no end to raising the level of the hair work to grow up. I think that cutting skill should also be polished even after became stylist, I will keep myself open to improve the skill to create new style then become skilled stylist afer that. MICHAELA is currently in the process of becoming "No.1 in Singapore", but this time we are looking for those who can over it together to win the top of the salon. Currently, I am in charge of salon management in this salon, have responsibilities of salon management. Until a year ago, this salon also operated a salon as space renting style, but from this year we changed our system, such as now we adopt three assistants, an assistant is attached to each stylist, We have been transforming into a form that allows multiple customers to treat at the same time. If you are a hairstylist, you will notice that one stylist will be able to raise monthly sales of $ 30,000 and $ 40,000, and if you are a Japanese hairstylist, I thought that we could actually get more than double the annual income you eran in japan. However, I do not want you to think that the salon arranges the assistant and is easy. The appearance of the salon where we should be is that an educational salon similar to the salon in Japan and even a manager do everything includes the creation of English version manuals and teching skills also we are looking for those who can build up with us. As for our final appearance, we believe that the stylist that provide highly technique and customer service cultivated in Japan could be not only Japanese but also Singaporean and other nationals of citizens. 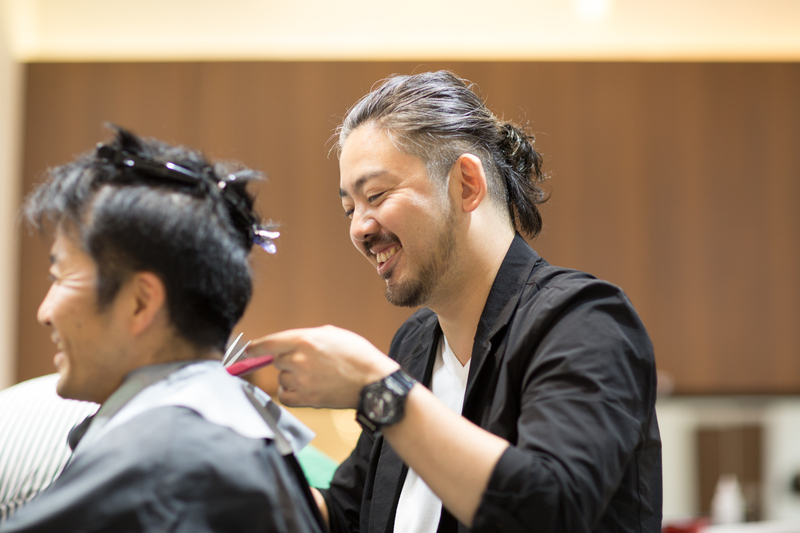 For Japanese hairstylist who join this salon from now on, the assistants of the Singaporean people who are currently employed not only need to help the salon work but also educate them to become highly skilled hairstylist, I'd like you to share your goals with making them a stylist. 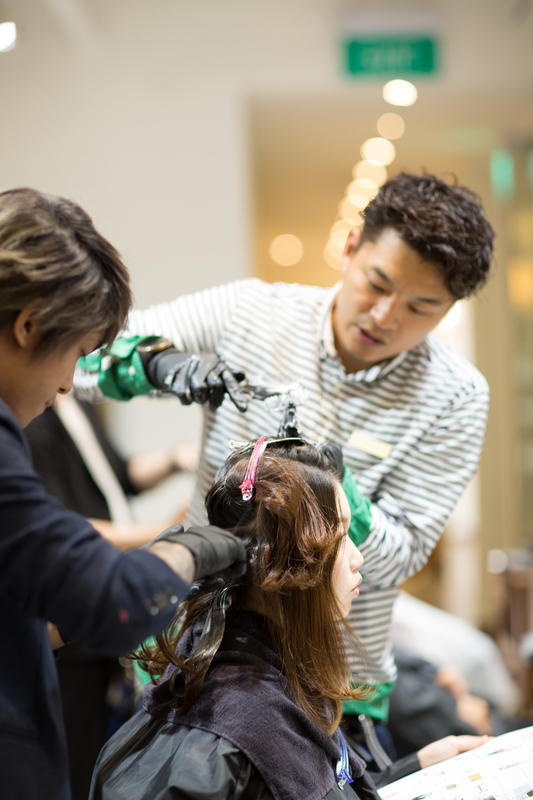 Unlike the gogeous image of a professional hairdresser in Japan, in Singapore there are only few people who want to become a hairdresser. Do you think because a hairdresser is hard work even low salary? Singapore has short history they are putting emphasis into finance and IT..., and I feel that young people who want to become office workers are much more than Japan. Currently there are three local assistants in our salon. They are promising Singaporean in the future. 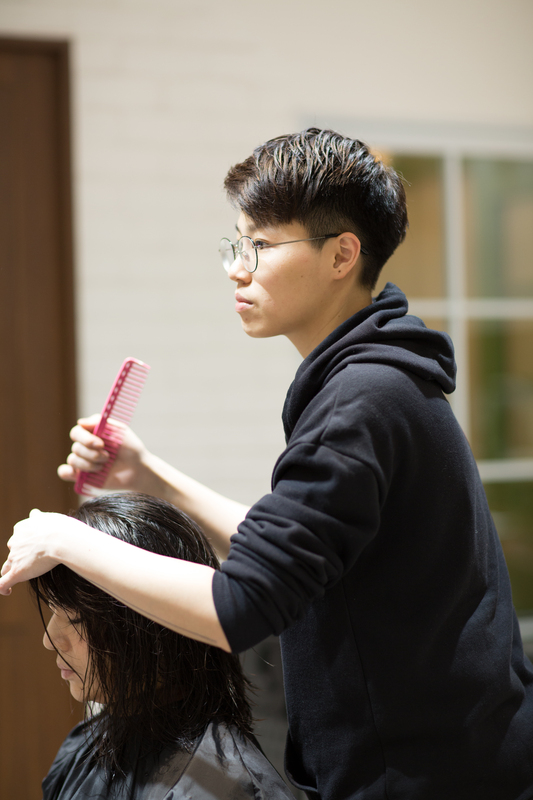 "I could not become a stylist" "There was no environment to teach skills and customer service"
In Japan, it is commonplace that salons educate them to become a hairstylist form an assistant, but seems to be a little different at overseas. If education in the salon is inadequate, lessons will not progress, I do not know what to do, I can not see the future prospects, freaquently occur to frustrate that I can not have a dream in a hairdresser's job. It is MICHAELA 's idea that the assistant who joins this salon wishes to provide pleasure to catch a dream. For that purpose, We will educate them so that they can acquire 'hospitality' beyond Japanese stylists by having hair skills more than Japanese hairdressers. I would like you to apply for MICHAELA not only for your own growth but also for those who share the pleasure of sharing the growth of the whole team with us. i would like to cooperate the future with the other hairdresser such as a hairdresser is a charming and pleasant occupation and a rewarding work. Honestly I can earn much more money than working in a beauty salon in Japan, and I think that MICHAELA is a group of friends who can feel the joy of people as their own pleasure. If you feel delighted that the staff including you and customers are happy and can live vividly, I think that this salon can provide the best place to work for you. Let's become such a cool hairdresser that you can feel the admiration from a hairdresser all over the world! Copyright © 2015 MICHAELA All Rights Reserved.